To put it simply, you need this. 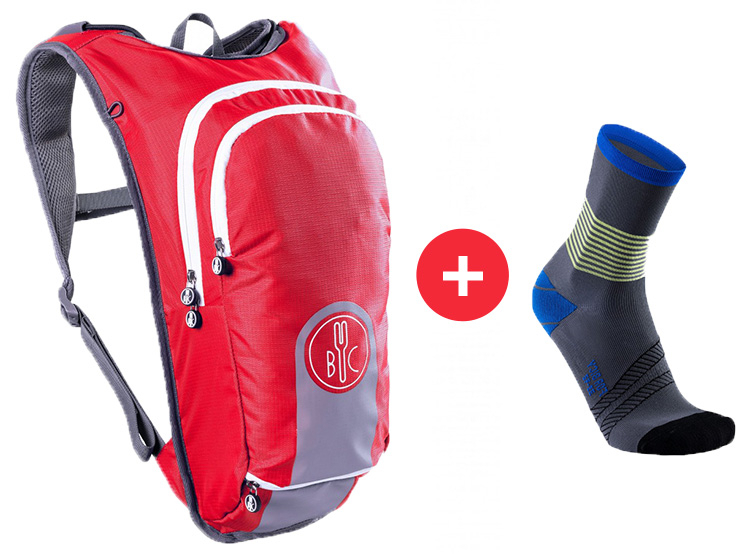 Whether you’re an urban cyclist or pro-skier, a walker or trail runner, For.Bicy Jacpack is the essential backpack for you. Especially at this time of year, when unexpected showers can ruin your plans. Why? Because the Jacpack is unique. 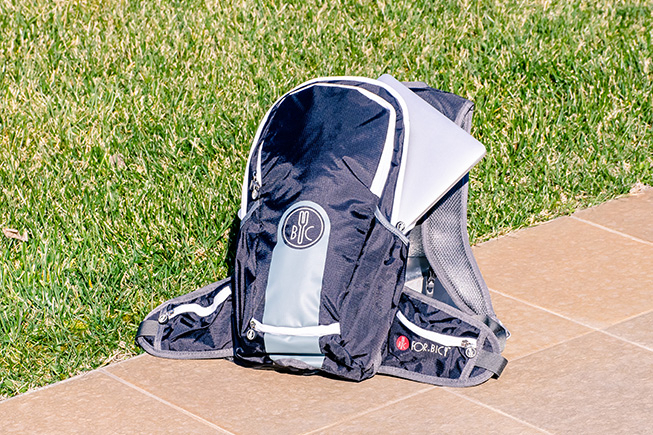 It’s the first 2-in-1 technical backpack and waterproof jacket designed to function as a single all-weather accessory. Available in two versions (for men or for women) and in two sizes (a small 10-litre pack or medium 15-litre pack), the For.Bicy Jacpack can now be yours for an even better price. for an instant 20% discount. You will also receive a pair of breathable, anatomically shaped Ring Master socks as a free gift, great for everyday activities and adventures. Put on the For.Bicy Jacpack and discover the revolution: one swift movement of the arm and just a few seconds is all it takes to release the jacket that covers you, your backpack and all your vital belongings inside. 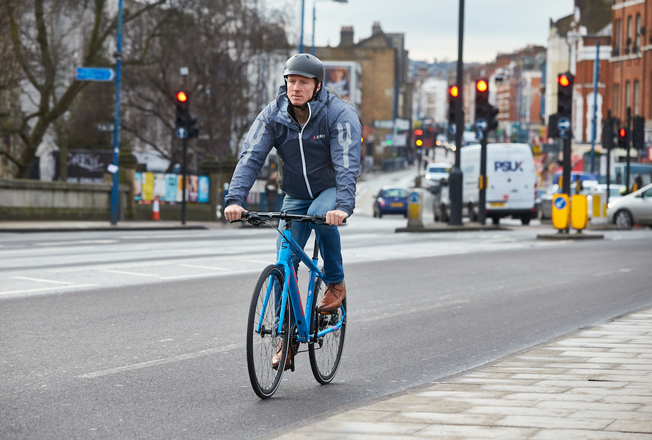 With your Jacpack on, the rain won’t stop you as you cycle to work in the morning, and the snow won’t hold you back as you head into the mountains. 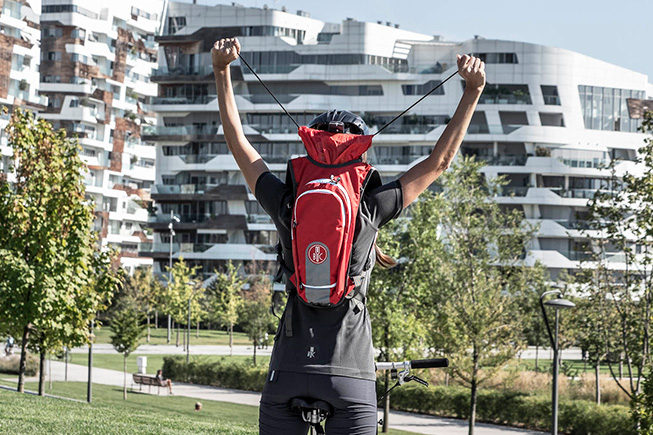 For.Bicy Jacpack is the backpack for modern, dynamic and adventurous people, for whom leaving laptops, tablets or mobiles at home simply isn’t an option. This is why the main compartment has been designed for storing and protecting your devices (the medium backpack is large enough for a laptop). The hidden net in a pocket at the bottom of the backpack gives you even more space, making it easy to carry a helmet or other large objects. For.Bicy Jacpack is for people on the move. Get on your mountain bike or venture out on a long walk: with its ergonomic straps, you won’t even realise you’re wearing the Jacpack. Yet you’ll always have plenty of room for a change of clothes and there is a special compartment for a hydration pack. Let’s not forget about all the high-tech features of this handy hooded jacket: waterproof, breathable, wind-resistant, ultra-light and easy to pack away. The reflective detail increases its visibility and the modern look makes it ideal wherever you go. Whether you’re planning a weekend of unpredictable British weather or a cycling break along the canals of Amsterdam, you can’t do better than a For.Bicy Jacpack. Studies have proved it: Cycling makes you happy! In addition, the combination of daily exercise and a healthy diet gives you a healthier lifestyle. However, there are always those days when all you feel like doing is putting your feet up and doing nothing. These 5 tricks will help you pick yourself up at such times. Instead of sitting back and relaxing, it means putting on your bike socks and getting onto the saddle.